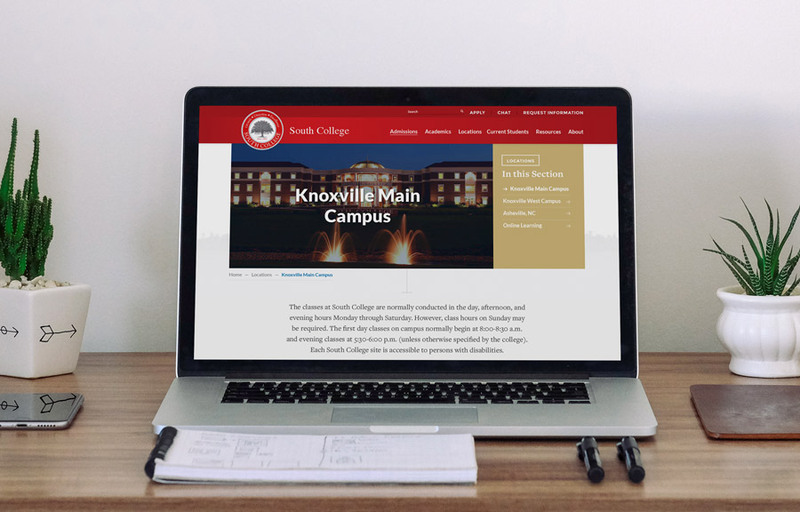  South College is a private, post-secondary academic institution with a main campus in Knoxville, TN and an additional learning site in Asheville, NC. 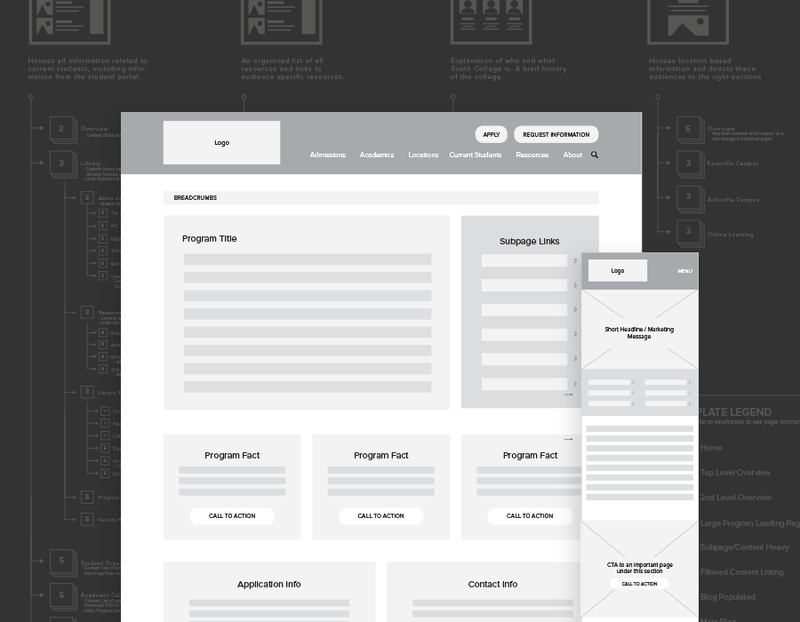 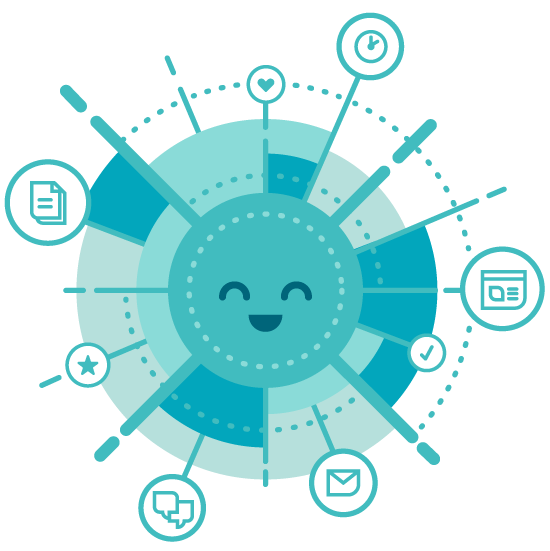 They were wanting to combine their currently separate web properties into one centralized location with an updated brand that included both Knoxville and Asheville's current identities. 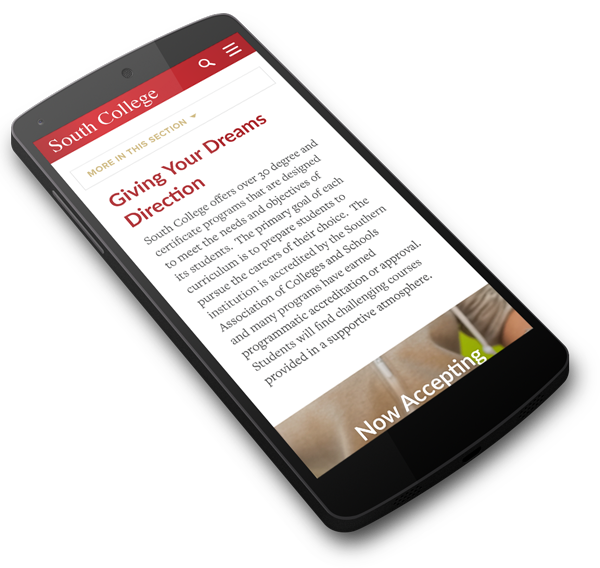 This posed the interesting challenge of deciding which content could be combined and which information that was unique to each location The end result provided South College's non-traditional student base, faculty and staff with a unified brand experience that catered to their unique needs, while also serving largely as a marketing tool for South College admissions. 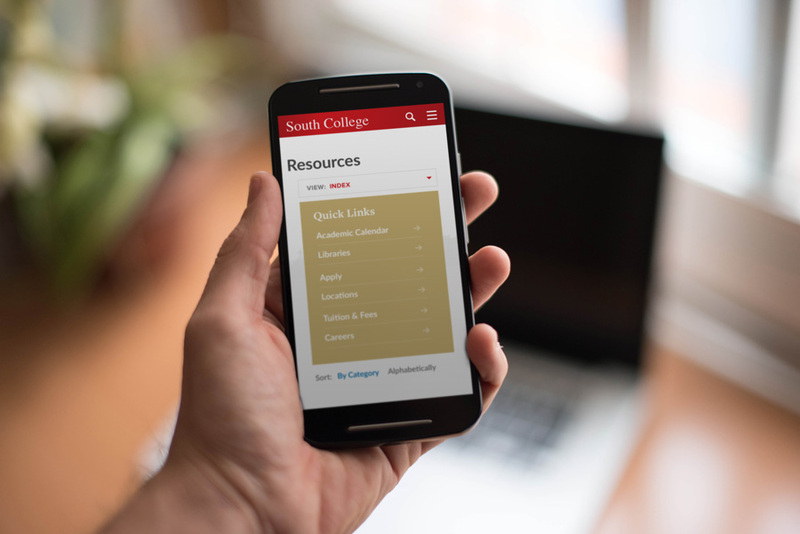 To support this updated brand, I created a visual style guide to help South College staff apply the new look to their assets.